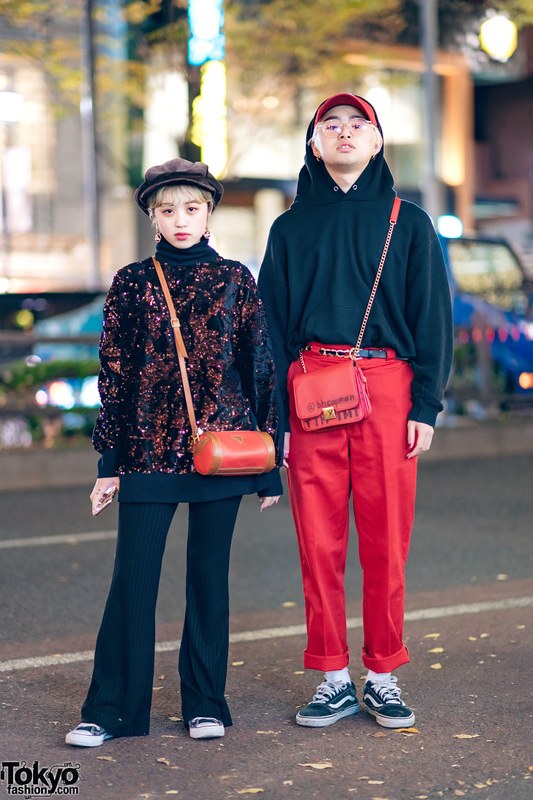 Japanese teens sporting black and red styles with sequin sweater, flared ribbed pants, hoodie, cuffed pants, sneakers and bags. 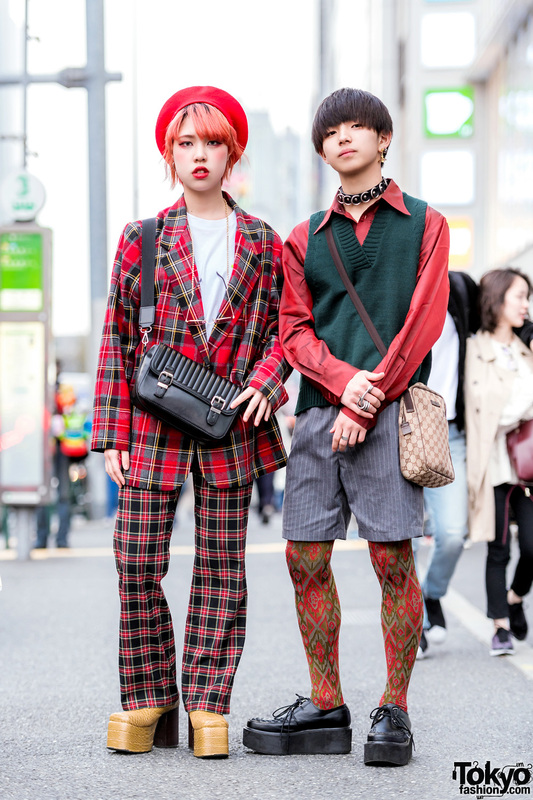 Japanese students in mixed prints and vintage streetwear in Harajuku. 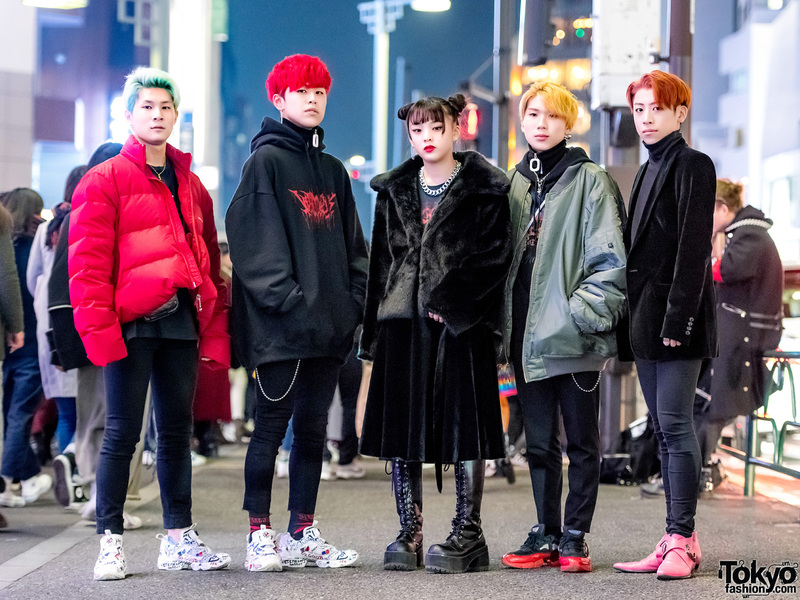 Harajuku duo sporting modern Japanese streetwear looks and band t-shirts on Cat Street. 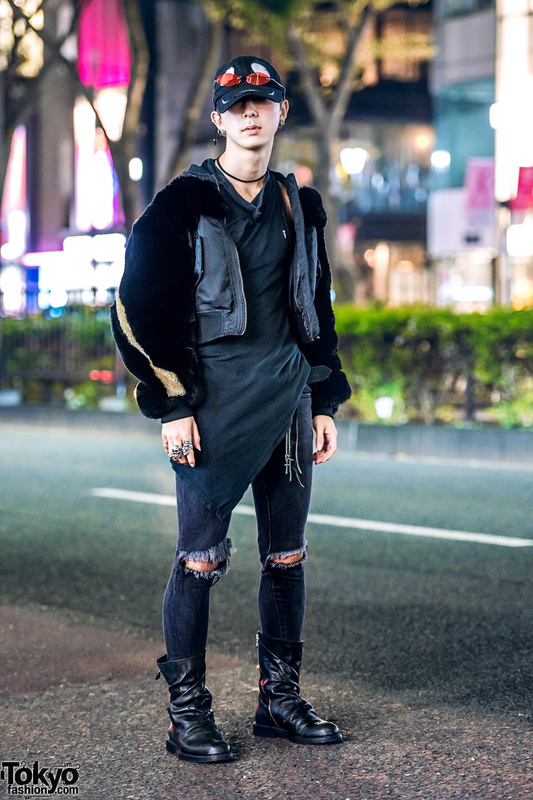 Orange hair and edgy all-black ensemble in Harajuku.